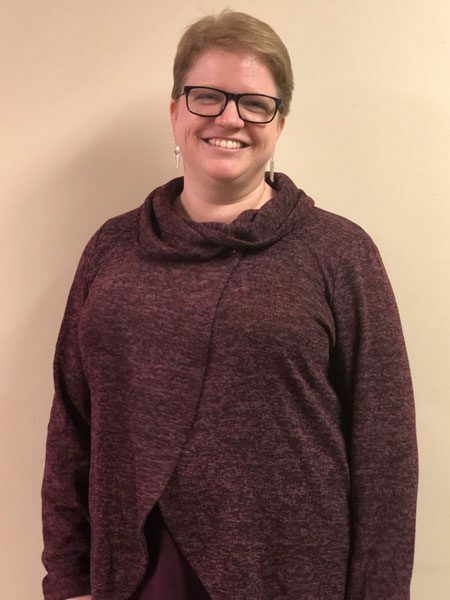 Rebecca Frost of Keweenaw Bay Ojibwa Community College in Baraga, Michigan, has won the Conference on College Composition and Communication’s (CCCC’s) Tribal College Faculty Fellowship. The post Keweenaw Bay Ojibwa Community College Instructor Wins Faculty Fellowship appeared first on Tribal College Journal of American Indian Higher Education. 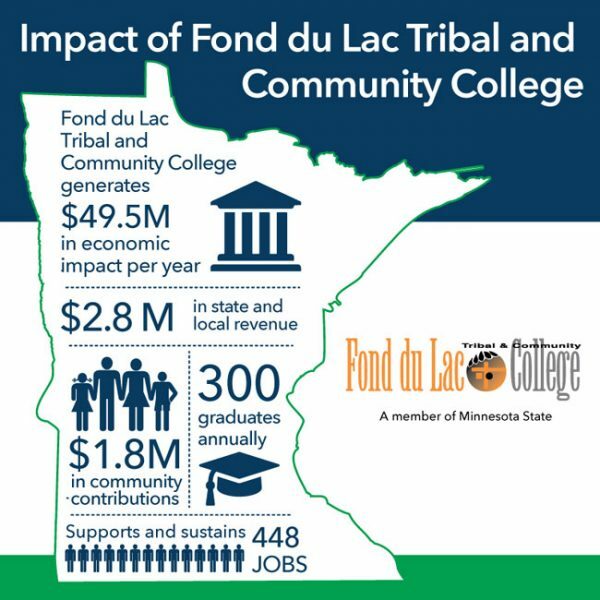 Minnesota State, the system of 30 state colleges and seven universities, recently shared the results of a study that estimates that Fond du Lac Tribal and Community College (FDLTCC) contributes $49.5 million annually to the regional economy while supporting and sustaining 448 jobs. The post FDLTCC’s Economic Contribution Estimated at $49.5 Million appeared first on Tribal College Journal of American Indian Higher Education. For two College of Menominee Nation (CMN) students, fall semester 2018 wrapped up with a statewide symposium highlighting Wisconsin’s participation in “Tiny Earth,” an international initiative involving nearly 10,000 students worldwide who took part in antibiotics research. The post CMN Students Do Soil Research as Part of International Initiative appeared first on Tribal College Journal of American Indian Higher Education. Friday marked the first missed paycheck for federal employees, although it also marked the close of the shutdown's third week. Cynthia Lindquist, president of Spirit Lake's Cankdeska Cikana Community College, said her federally employed friends and family members are anxious about how to survive the shutdown financially. The post ‘Most People Live Paycheck to Paycheck.’ Government Shutdown Has Lawmakers, Locals Feeling the Pressure appeared first on Tribal College Journal of American Indian Higher Education. Lowe has built relationships with tribal high schools, communities, and colleges. Universities that partner with tribal colleges are “really forward thinking,” she says, and she is especially proud of Harvard’s partnership with the American Indian College Fund’s American Indian Law School Scholarship, which gives selected Indigenous students full funding for Harvard Law School. The post Program Directors Work to Keep Centuries-Old Promises to American Indians appeared first on Tribal College Journal of American Indian Higher Education. The business took $54,000 from the Oglala Sioux Tribe in Pine Ridge, South Dakota, prosecutors said. It convinced an employee at a local college, the Oglala Lakota College, to sign an authorization form. All Around Sports used that form to get money wired from the tribe’s bank account, prosecutors said. The post Idaho Company Steals from South Dakota Tribe, Alaska Natives appeared first on Tribal College Journal of American Indian Higher Education. 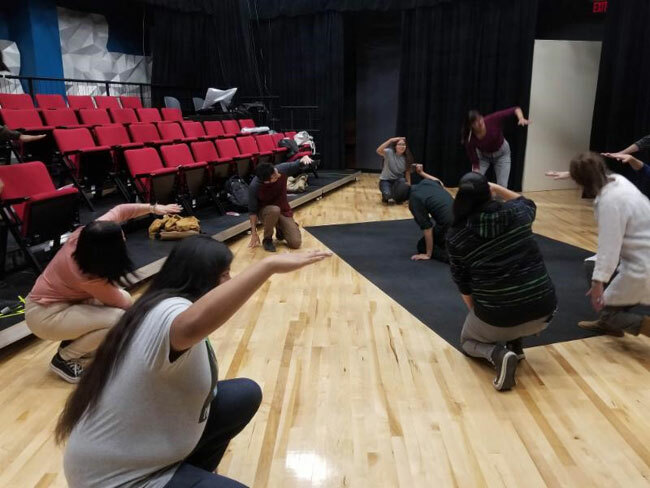 The post Theater Project at College of Menominee Nation Wins Packers Foundation Arts and Culture Grant appeared first on Tribal College Journal of American Indian Higher Education. At a school peppered with rich Navajo history, there are some things that can go overlooked, often in favor of the sensational. 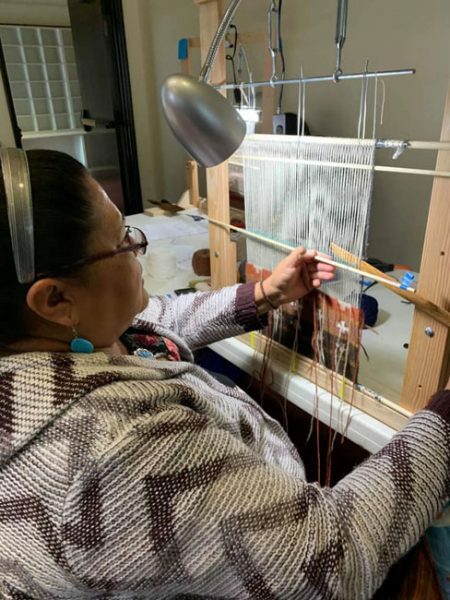 Such is the case with Diné College’s recent master artisan workshop on Navajo weaving. The post Diné College Students Attend Heard Museum Workshop appeared first on Tribal College Journal of American Indian Higher Education. The start of a new year is a good time to reflect on the prior year’s big events and accomplishments. 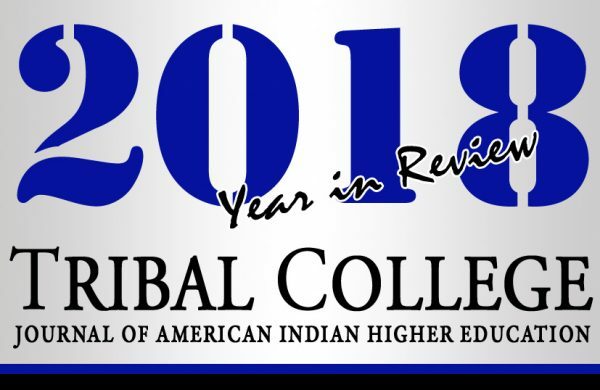 The post 2018 Year in Review appeared first on Tribal College Journal of American Indian Higher Education. The post RREAL’s White Earth Nation Community Solar for Community Action Receives LCCMR Recommendation appeared first on Tribal College Journal of American Indian Higher Education. She and her academic colleague Rick Gerlach are spearheading a greenhouse project at Oglala Lakota College that will come to expand the number of opportunities for people to take health and nutrition into their own hands. The post Buffalo Are the Backbone of Lakota Food Sovereignty appeared first on Tribal College Journal of American Indian Higher Education. Diana Burd with the local Silent Warrior Coalition urged the group at Blackfeet Community College to press Congress for its passage. “We can pass that through just by bugging them,” she predicted. The post ‘The Dead Cannot Cry Out for Justice’: Blackfeet Seek Solutions to Murders, Disappearances appeared first on Tribal College Journal of American Indian Higher Education. In what has become a much-anticipated annual tradition, the professor from College of Menominee Nation recommends his top film picks of 2018. The post Five Native Films You Should Be Streaming in 2019 appeared first on Tribal College Journal of American Indian Higher Education. The Higher Learning Commission has approved the Institute of American Indian Arts’ (IAIA’s) application to launch AFA and BFA programs in performing arts. The post Institute of American Indian Arts Approved to Offer Degrees in Performing Arts appeared first on Tribal College Journal of American Indian Higher Education. This holiday season, one tribal college student developed a food bank to serve everyone and anyone in need—no questions asked. The post Giving Back: Cankdeska Cikana Community College Student Launches Food Bank on the Spirit Lake Reservation appeared first on Tribal College Journal of American Indian Higher Education. Toyota and the American Indian College Fund have teamed up through a grant of $15,000 to two tribal colleges to encourage children’s’ Indigenous STEM exploration. The post College Fund Awards Iḷisaġvik College and Little Big Horn College STEM Awards appeared first on Tribal College Journal of American Indian Higher Education. eaders from the university's College of Agricultural Sciences and Natural Resources, Haskell Ag Laboratory and Nebraska Extension have connected with leaders at the Nebraska College of Technical Agriculture, Wayne State College, Northeast Community College, Nebraska Indian Community College, Little Priest Tribal College and Wayne Community Schools. The post Haskell Ag Lab Called Key to UNL’s Work in Northeast Nebraska appeared first on Tribal College Journal of American Indian Higher Education. In the Summer of 2016, These 4 Native Students Looked Toward College. Here’s Where They Are Now. Attending tribal college "allowed me to mature at my own pace," she said with a smile that revealed red and gold bands on her braces. "Now I’m ready to leave the nest, to do things my own way." The post In the Summer of 2016, These 4 Native Students Looked Toward College. Here’s Where They Are Now. appeared first on Tribal College Journal of American Indian Higher Education. It can be a hard choice for some college students: putting fuel in their cars to get to school or spending that money on food. The post CMN Students Offered Emergency Food and Products at “Helping Closet” appeared first on Tribal College Journal of American Indian Higher Education. Red Lake Nation College and Leech Lake Tribal College are set to receive $97,000 and $60,000, respectively. The post Red Lake, Leech Lake Tribal Colleges to Receive $157,000 for Humanities Projects appeared first on Tribal College Journal of American Indian Higher Education.